Tagged under Naoshi Arakawa, A-1 Pictures, Aniplex, Series. The character design fits the characters nicely. Shigatsu is very character driven; which I like, and I think so far it's being handled well. I'm a very big fan of both the piano and violin and I just love music in general. So on both those points it already found a fan in me. I also am reading the manga as well. Knowing that this series is going to be 22 episodes & it's said to be adapting the entire manga gives me the thought that this series will get the adaption it deserves. There's also supposed to be an OVA after the series ends so looking forward to that as well. Some of my fav moments with them are: in Chapters 27, their phone call in chapter 30, 31, 33, 36, when he told Watari how he felt in chapter 40, 41. 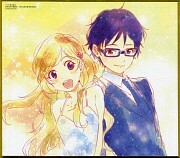 Definitely worth a watch is you're a fan of classical music & a character driven story ^^ Watari is a true bro, because he knows/recognizes that Kaori actually wants Kousei & supports Kousei in approaching her. I also enjoy when it's just he and Kousei talking. Amo la música clásica, incluso la OST me hace acordar a la música de Joe Hisaishi (a quien amo con todo mi corazón). Su segundo OP es simplemente hermoso! Y soy fan de Gosse House, asi que también adore el primer OP. 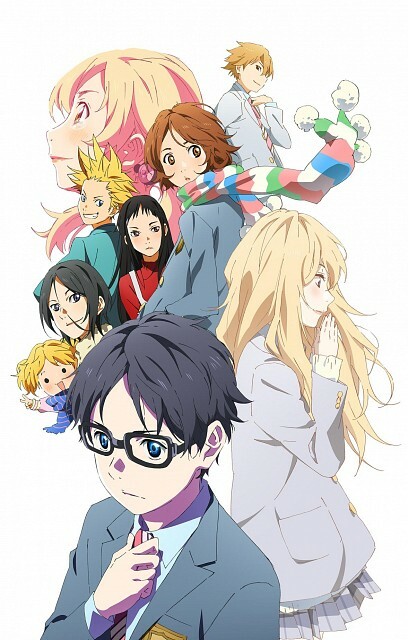 My number one Fall 2014 anime series with no doubts. It got everything I love in a character-driven show. What can I say, I’m really hook and can’t wait to see how everything will play out for our 4 main characters (Kousei, Kaori, Tsubaki, and Ryota) during the course of these 22 episodes. I might even start reading the manga, honestly (although I heard that the manga was ending soon, meaning that the studio might be able to really finish the series in the course of these 22 episodes....... which, in my opinion, would be fantastic). It also worth mentioning that the production values (music score, animation, etc) for this series are top notch (thanks to A-1 pictures), which for me is a big plus when watching anime (any type of anime). 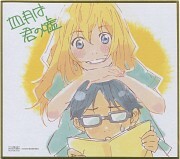 No feedback on Shigatsu wa Kimi no Uso.